He currently serves as Williams Mullen's Chairman Emeritus of the Board, and he previously served as president and chief executive officer of the firm from 2010 to 2015. Before joining the firm, Tom was an original principal with Clark & Stant, which merged with Williams Mullen in 1999. He became general counsel to Tidewater Health Care, Inc., the parent company of Virginia Beach General Hospital, in 1989. He currently serves as outside corporate counsel to Armada Hoffler Properties, Inc., an NYSE REIT. He is admitted before the U.S. Tax Court, the U.S. Supreme Court, the United States Fourth Circuit Court of Appeals and all Virginia courts. Tom is a member of the American College of Tax Counsel, the American College of Trust and Estates Counsel, the Virginia Bar Association’s Taxation Section, the American Association of Attorney-CPAs, the Virginia Society of CPAs and the American Academy of Hospital Attorneys. He is also a member of the Corporate, Banking and Business Law, Taxation and Health Care Sections of the American Bar Association. He is a past president of the Hampton Roads Tax Forum and is a director of the William & Mary Annual Tax Conference. Tom has been listed in The Best Lawyers in America© each year since 1983 and was named the Best Lawyers® 2011 Norfolk Area Corporate Lawyer of the Year and 2012 Norfolk Area Mergers & Acquisitions Lawyer of the Year. He has also been named to Virginia Business magazine’s list of “Legal Elite” (2008-present), recognized as a leading Corporate/M&A attorney in the U.S. by Chambers USA (2004-present), listed as a “Super Lawyer” for Business/Corporate by Virginia Super Lawyers magazine (2006-present) and listed as one of the Top Lawyers of Coastal Virginia by CoVa Biz Magazine (2017-present). Virginia Super Lawyers magazine listed him as one of the "Top 50 Attorneys in Virginia" every year from 2006 to 2011, and in 2008, he was listed as one of the “Top 10 Attorneys in Virginia.” In addition, Martindale-Hubbell has rated Tom an AV attorney, its highest rating available. 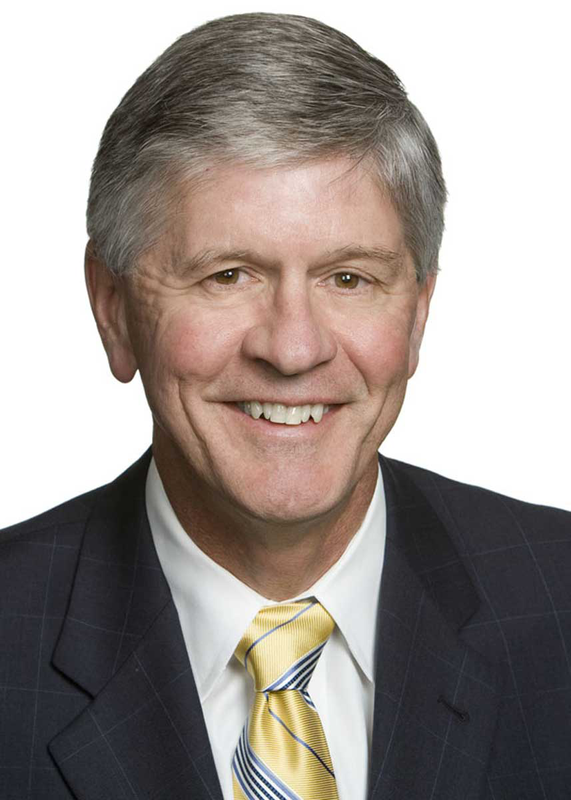 Long active in numerous civic and educational organizations, Tom serves on the board of directors and executive committees of the Hampton Roads Business Roundtable, Reinvent Hampton Roads, the Virginia Aquarium and Marine Science Center Foundation, the Hampton Roads Community Foundation and the Virginia Biotechnology Association. He also serves as Go Virginia's District 5 Regional Council Chair and as chair of the board of DroneUp. He was appointed by Governor Mark Warner to the Hampton Roads Sports Facility Authority in 2003 and was honored by the Virginia Beach Jaycees as the 2004 First Citizen of Virginia Beach. In 2010, he received the VOLUNTEER Hampton Roads’ Lenora Mathews Lifetime Achievement Award for his outstanding leadership in community service. Tom is the former chair of the Mayor of the City of Virginia Beach’s Biomedical and Healthcare Taskforce, and he is a former chairman of the board of Cape Henry Collegiate School, the Virginia Beach Foundation, the Hampton Roads Partnership and the Virginia Aquarium and Marine Science Center Foundation. Tom is a director emeritus of the Neptune Festival, and he served as King Neptune in 1996. He was appointed by Governor Bob McDonnell and re-appointed by Governor Terry McAuliffe to serve on the College of William & Mary's Board of Visitors, where he is also a member of the executive committee and is the chair of the strategic initiatives and new ventures committee. Additionally, Tom is on the board and executive committee of the Mason School of Business Foundation at the College of William & Mary and the advisory board of the William & Mary Business Law Review. He is also an adjunct professor at the William & Mary Law School, where he teaches a class on Entrepreneurship and the Law. Tom graduated from the College of William & Mary with an accounting degree in 1970 and from the Marshall-Wythe School of Law in 1973. He obtained his license as a Certified Public Accountant in 1973 and received his Masters in Law and Taxation from William & Mary in 1981. He is a former Captain in the U.S. Army. Williams Mullen Hampton Roads Offices Honored as One of the "Best Places to Work"
Williams Mullen Successfully Lobbies for Release of a Drug Used by ALS Patients in U.S.
Virginia Maritime Association: "Aligning Economic Opportunities- Hampton Roads to Richmond"
Best Lawyers'® – 2012 Norfolk Mergers & Acquisitions "Lawyer of the Year"
Best Lawyers'® – 2011 Norfolk Corporate "Lawyer of the Year"